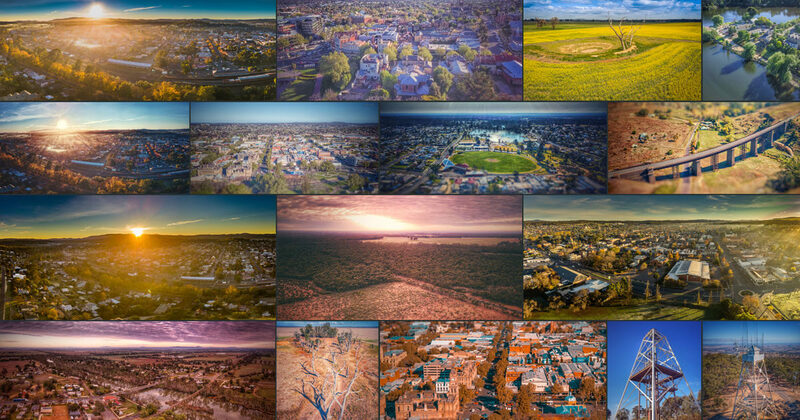 As promised, I wanted to share with you my 1 year review flying drones commercially with Bendigo Aerial. It has been an incredible journey; learning, working and expanding the business. I never thought a hobby and a passion for technology would lead me into this industry. Having the privilege to work with some of Australia’s leading businesses, creating both aerial imagery and online social content, has been amazing. Bendigo Aerial’s initial ReOC (Remote Operator Certificate) was renewed in December 2018 by CASA for a further 3 years. This now offers us more flexibility to service clients wanting long term contracts, plus it allows us to expand our reach into the drone/RPA industry. 6 months ago I wrote a 6 month review for the business. Having this gave me something I could not only reflect back on, but also a tool for measuring the business’ milestones, achievements and goals. If you have not read the 6 month commercial drone pilot review, you can do so from my personal blog. Hard work always pays off. Starting, growing and running a business is definitely hard work. I quickly learnt this lesson when Bendigo Aerial’s customer base grew, having received multiple jobs from all over the state and the world. Having flown in Hong Kong, Singapore, Bali, New Zealand and all throughout Victoria, Australia it has certainly been an exciting ride. Both articles spread throughout the internet having had over 10K views/reads. I hope to add more articles into our publication in 2019. We are also releasing a photo compilation in a few weeks of some of the best aerial photos taken from our drones in 2018. We hope you enjoy this clip and share with your family and friends. I’d like to thank all our customers who took a chance with us and supported us throughout 2018. Without your business and continued support, we wouldn’t be able to offer these services. A big thank you to everyone who followed, liked, shared and commented on our content across all social media channels. Without your comments/feedback we would not be where we are today, so we appreciate you smashing that like button for us. As the RPA industry grows, 2019 is going to be an interesting year. From managing new CASA updates, continual advancement of drone technology together with new drone applications for businesses, we hope to continue to assist our customers in providing the best service. We hope to be part of this industry for some time and intend to continue to help it grow for the future. As usual, if you have any questions or comments please get in contact with us through the website.